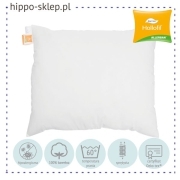 Medium pillow 50x60 cm for older children, teen’s and adults from the age 4-6 years. Universal, intermediate pillow size 50/60 cm (most popular pillow size at IKEA stores) designed for side sleepers and back sleepers. 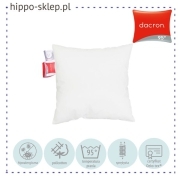 Soft and hard 50×60 anti-allergy pillows made of synthetic silicone fibers or natural pillows (down and feathers) with cotton or microfiber sheathing. 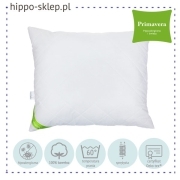 A kids pillow 50x60 cm is the most optimal and ergonomic shape and size recommended by pediatricians and orthopedists. Here you will find anti-mites 50x60 Hollofil Allerban pillow, comfortable Comforel Allerban 60x50 cm pillow, Primavera pillow with a cotton sheathing dedicated for sweating person, Dacron 95 °C pillow resistant to washing at high temperatures. For those who prefer flat sleeping – stomach sleeper – we have 50/60 cm height-adjustable pillow by adding or removing the amount of inserted fibers.